Military watches tread a fine line between camouflage and good readability. While they should be as invisible as possible to others in the dark, they must nonetheless display the time clearly to the wearer. 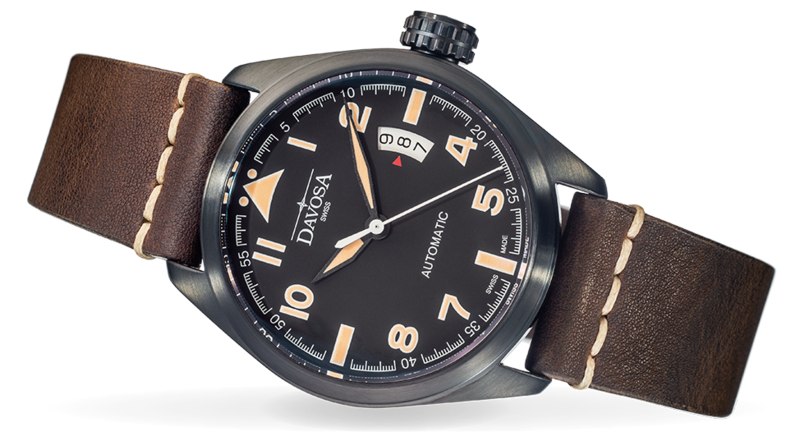 The Military Vintage is reminiscent of pilot watches from bygone decades and boasts a correspondingly vintage look.